90 Day Ready 2 Roar! I woke up this morning humming “Happy” by Pharrell. Reached over and turned off my alarm clock and searched my ipad for my motivation playlist so that Pharrell could sing it to me while I slithered into my leggings and struggled to get my sports bra over the girls. I was prepared for an incline workout on my treadmill. No need for speed with this workout. This was purely about increasing my endurance, building my strength and…ahem…building my booty. Now I have to tell you that for the last few weeks I’ve worked out in my pajamas without much enthusiasm. Just enough energy expended to say I did it… if anybody asked. But this morning, Friday, August 1st is a momentous occasion for me and for my coaching practice. 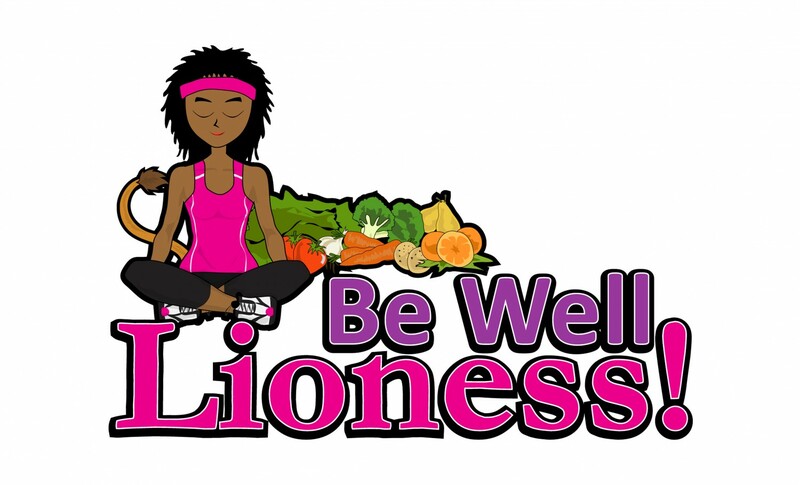 The Be Well Lioness! 90 Day Ready2Roar – Beta test starts today! I piloted a similar program the last year and it was quite successful with every one of my clients seeing real results. But I’ve learned so much more since then and I felt there was more work to be done. So I tightened it up. Added additional modules to the group sessions and made it more interactive. Yes. We’ll discuss nutrition. Yes. We’ll discuss exercise but we’ll work on stress reduction, the importance of positive relationships and the role toxins play in affecting health as well. It’s a 12 week program that consists of a cleanse to get everyone started. Followed by a clean eating, plant based meal plan which eliminates dairy, gluten and sugar in order to balance blood glucose, cool the body’s inflammatory responses, increase energy and as a side effect, promotes weight loss. Group coaching occurs twice monthly and each group coaching session will deal with a different aspect of wellness. It includes a Farmer’s Market tour, a quick and easy cooking demo and a discussion of budget friendly ways to live healthfully. Generally this program is directed at clients who are dealing with weight issues of 30lbs or more or a chronic health issue that can be addressed by life style adjustments ie Type 2 diabetes, hypertension, obesity. So far my PRIDE is excited and motivated. But I know this is only day one and change for them and for me isn’t always pretty, or fun, or easy. Wish us success. I’ll keep you posted! ← Don’t Worry… Be Ashy!